This app is really easy to download and start using! It automatically syncs your contacts. The app features five main sections. Each section is user-friendly and provides different functionality around calling, messaging, etc. Personally, for me, it's important that my mobile apps provide an easy to navigate Help Center for when I get stuck. The Vonage Mobile app, has a great Help Center that provides FAQs which breakdown by platform type (i.e. Android) and also gives you the ability to directly e-mail Customer Service. As for adding credits for international calling, the application links to your Google Play account (on Android), where you can easily load credits. 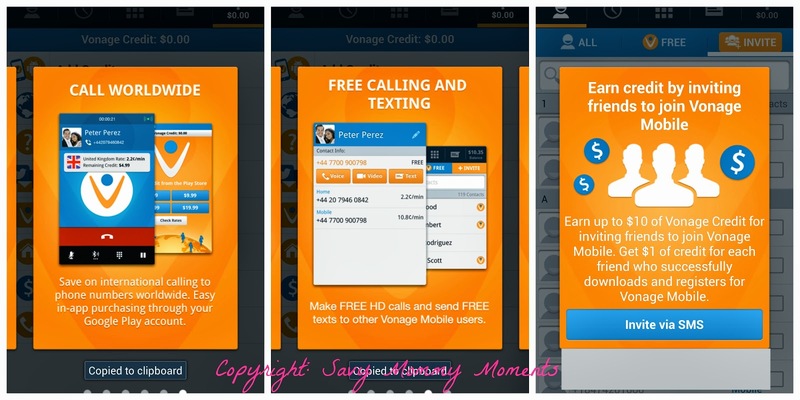 Learn More: You can learn more about the Vonage Mobile app by downloading it via Google Play or iTunes today! 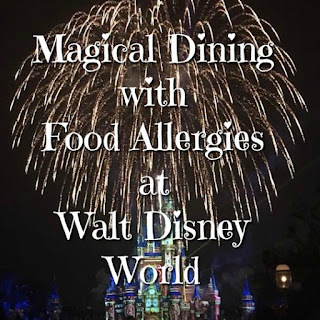 I highly encourage checking it out! Win: Enter below to win a $50 iTunes Giftcard. Open Worldwide. Giveaway ends 11:59 CST on 10/11/13. I like that it automatically syncs your contacts. I like the voice notes via text, perfect for quick share with family and friends. I like that you can share photos and I would use it to keep in touch with my parents. I like that I would be able to download and make video phone calls using my iPod and the internet! Nifty! I'll have to look into this before I sign a new cell phone contract. Thanks! I love the fact that you can turn your ipod touch into a cell phone! Sweet! 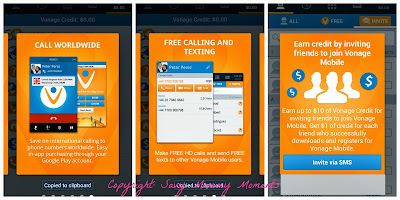 Free video phone calls with other app users this is what my family would love this is an amazing app to use. 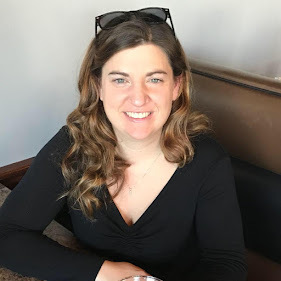 I love that the app allows you make free app-to-app phone and video calls, send texts and share photos and location with other app users worldwide. I like that you can do video chat! The kids can use this when their dad is out of town! I like the free calling to family and friends in other countries all we have to do is download the app. No more long distance charges! The free app to app calling is pretty cool. This would be a good thing for those with family overseas (like military families). I like that it uses your existing phone number. I would use this to make phone calls. I like that it will use my existing phone number! I like the Free video phone calls with other app users. I'd talk with my family back home in TX. You can check ITunes store for itunes gift cards free more useful information about ITunes. this is best for students who do not have much time to go to the library to sit down there and make a research. hey friends visit here if you want to get club penguin membership codes this is the best place to get these codes.